Zhang Qingli, a native of Dongping, Shandong Province, was born on January 1951. He joined the Communist Party of China (CPC) in February 1973. Jan 1971 - Apr 1976: Moved up the ranks from general worker to workshop director to deputy secretary to the Party Committee at the Dongping Fertilizer Plant, Shandong Province. Apr 1976 - Nov 1976: Member of the Standing Committee of Dongping County Party Committee and vice director of the Business and Communication Office of Dongping County, Shangdong Province. Nov 1976 - Jan 1979: Deputy secretary of Dongping County Party Committee. Seconded to the Central Committee of the Communist Youth League of China (CYLC) from June 1978 to January 1979. Jan 1979 - Jan 1983: Deputy section chief and chief under the Youth, Workers and Peasants Department of the CYLC Central Committee. Studied at Beijing Agricultural University from August 1980 to February 1981. Jan 1983 - Mar 1986: Deputy director of the Youth, Workers and Peasants Department of the CYLC Central Committee. Studied at the Department of Further Studies of the CPC Central Party School. Vice president of the China Agricultural Broadcasting and Television School (CABTS) from 1980 to 1985. Mar 1986 - Jan 1988: Vice mayor and secretary-general of Dongying municipal government, Shandong Province. 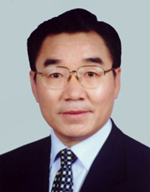 Jan 1988 - Jan 1995: Deputy secretary of Dongying City Party Committee; vice mayor and mayor of Dongying City. Studied at the Central Party School from March to July 1992. Jan 1995 - Mar 1997: Secretary of Tai'an City Party Committee, Shandong Province. Mar 1997 - Dec 1997: Secretary of Tai'an City Party Committee and chairman of the Standing Committee of the Tai'an City People's Congress. Received on-the-job training in economic management at the Party School of the CPC Shandong Provincial Committee. Dec 1997 - Mar 1998: Executive deputy chief of the Publicity Department of the CPC Shandong Provincial Committee. Mar 1998 - Aug 1998: Executive vice secretary-general of the CPC Shandong Provincial Committee. Aug 1998 - Feb 1999: Member of the Standing Committee, and chief of Publicity Department of the CPC Gansu Provincial Committee. Feb 1999 - Oct 1999: Member of the Standing Committee of the CPC Gansu Provincial Committee, secretary of Lanzhou City Party Committee, and chairman of the Standing Committee of Lanzhou City People's Congress. Oct 1999 - Apr 2002: Member of the Standing Committee of Xinjiang Uygur Autonomous Region's Party Committee, deputy secretary and commander of the Xinjiang Production and Construction Corps' Party Committee, positions he retained until March 2005. Received postgraduate qualification in agricultural economic management from Xinjiang Shihezi University where he enrolled from October 1999 to July 2001. Apr 2002 - Jan 2005: General manager of Xinjian Group Company of China. Dec 2004 - Nov 2005: Deputy secretary of the Xinjiang Uygur Autonomous Region's Party Committee, vice chairman of the Government of Xinjiang Uygur Autonomous Region. In November 2005, the CPC Central Committee appointed Zhang Qingli as acting secretary of the Party Committee of Tibet Autonomous Region. In May 2006, he was appointed as secretary of the Party Committee of Tibet Autonomous Region. He is a member of the 16th CPC Central Committee and deputy to the 10th National People's Congress.